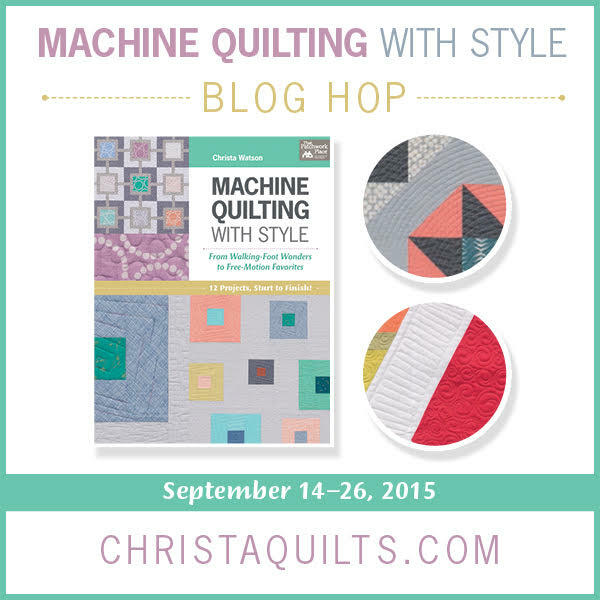 Recently I was lucky to get the chance to review Christa Watson of Christa Quilts‘ new book, Machine Quilting With Style, which you can pick up here . Today, as part of the blog hop, I’m going to gush enthusiastically about the book, which has given me so many new quilting ideas! So first a little background about the book, which is designed to guide you through quilting on your domestic machine. The introduction chapter has a number of great tips, including sections on thread and batting choice, and advice on how to set up your workspace. One of the most interesting things in this section was how to deal with the bit of the quilt that goes between the needle and the machine body, no more rolling for me, scrunch and smoosh all the way now! The actual quilting is divided into two sections, the first on quilting with a walking foot, and the second on free motion quilting. Unlike many other quilting technique books I have seen, the different quilting patterns are not show on whole cloth backgrounds, but on pieced quilt tops that give you an idea of how you might actually tackle something similar. One thing I struggle with is envisaging how a quilting pattern will go on my pieced tops, so I end up resorting to boring grids, echoes or lurking in the ditch, but this book has definitely given me some ideas, and I hope it will give my students some ideas in a few weeks too! 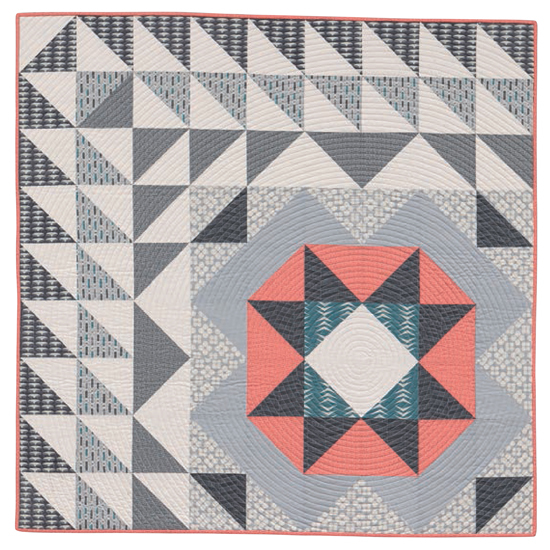 This wonky log cabin has fun, serpentine stitch quilting on it to give it a wavy texture. 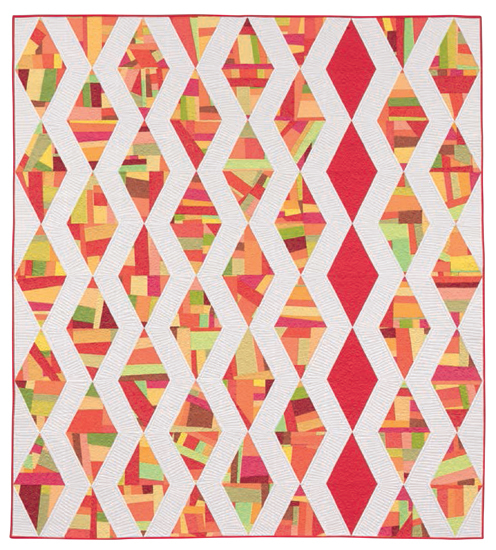 Instead of going from left to right, the quilting actually follows the lines of colour from the point in the lower right. 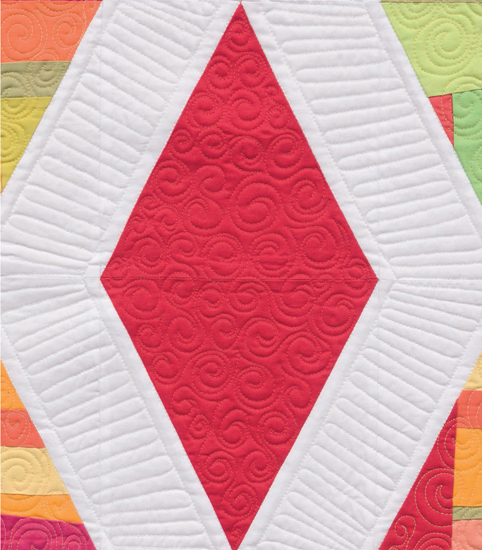 I can see the ‘Shattered Lines’ quilting used in this baby quilt as the perfect option for the Charm Box Quilt being done in my upcoming class. 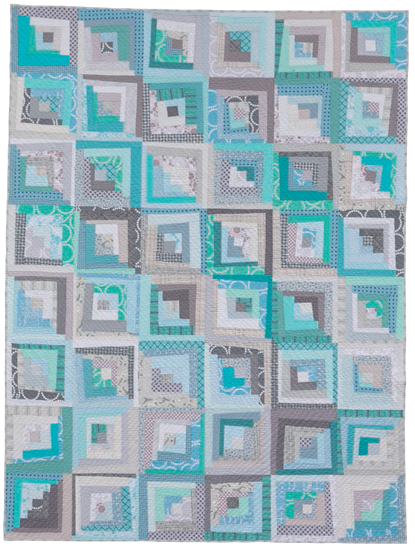 I also liked the fact that there were several layout options for this giant block baby quilt. Spirals galore! One of the fantastic quilting techniques in this book shows you how to create a spiral both square and circular without having to change feet part way through. This square one is especially appealing since it’s wonky and doesn’t require you to follow any particular lines! 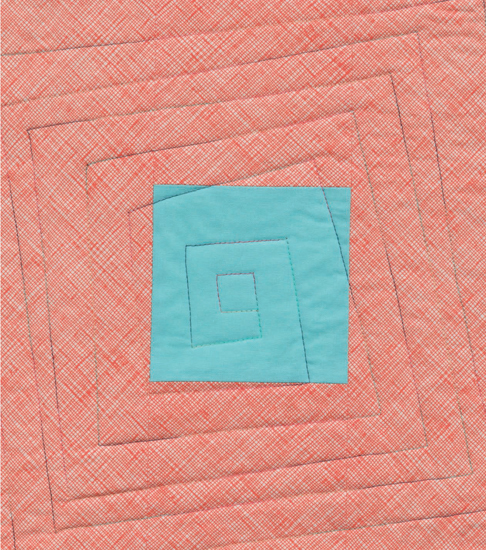 In the full quilt, you can actually see how the different boxes all have different spirals. It also show how you can mix walking foot and free motion quilting, since the background is made of FMQ ‘boxes’. In the FMQ section we start to explore mixing different FMQ patterns within one top. I do rather love these scrappy diamonds! I do hope you enjoyed this review. 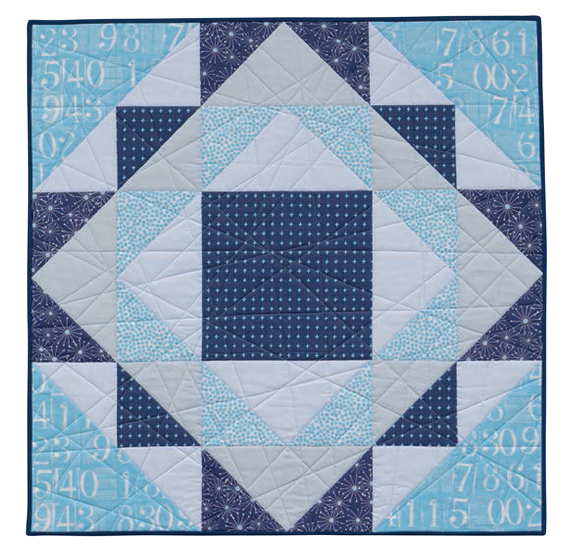 If you head over to Christa’s site you can see more hoppers, find out a bit more about the provenance of each of the quilts and even take part in a giveaway or two! Also, please check out the survey on Christa’s site to vote for your favourite quilt for a sew along starting in January. Thanks for the kind words and best of luck with your upcoming classes! Such a good gushing review! 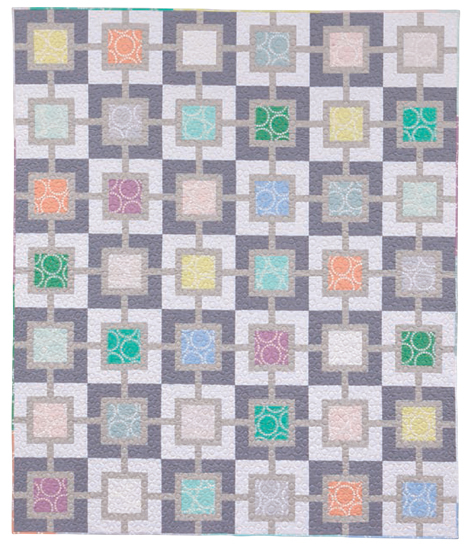 I think that spiral quilting on the off set star is going to be my favorite! THANKS FOR SHARING! LIKE THE SCATTERED QUILTING! Yes, it's a nice change from boring grids! 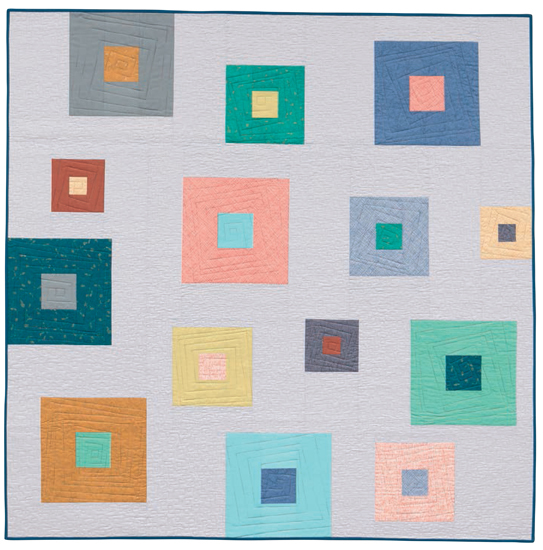 I remember reading years ago that organic quilting looks good on geometric blocks, and vice versa, and I think that's pretty true. Liking that square spiral, must file it in the old memory banks. You have convinced me to get this book.